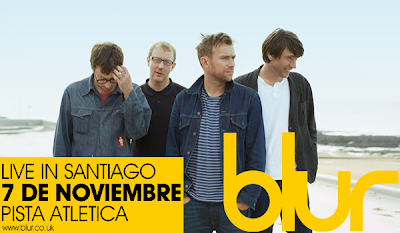 Santiago, Chile is officially the latest addition to Blur's list of venues for their 2013 world tour [click for the full list of Blur tour dates]. Blur fans in Chile will finally have the chance to see their favorite band perform for the first time after all the years of waiting. The gig is scheduled just four days after their gig in Argentina and will be held on November 7th 2013 in the National Stadium Athletic Track in Santiago. The announcement for a Blur concert in Chile was made less than a day ago on a music site as a move to kickstart an advertising and promotional campaign for the show. The wait is finally over for thousands of fans in South America, many of whom eagerly awaited this special confirmation. Many online campaigns petitioning for Blur to come to North America, such as the "Blur Tour North and South America" fanpage, have surfaced since Blur's reformation in 2009. Fans in Chile have been anticipating for a Blur concert since the band cancelled a gig in the country 14 years ago during 1999, where Blur toured the world to promote their album '13'. Blur had a debut concert in Chile scheduled for November 25, 1999 , and the fans eagerly awaited the show at the Estadio Monumental. However, the band decided to cancel the show just weeks before the concert, citing political reasons and differences- including a mention of Chilean authoritarian dictator General Augusto Pinochet's arrest a month earlier in a London hospital. Due to Augusto Pinochet's timely arrest, the local British Embassy warned bands and musicians scheduled on tour for Chile to cancel their shows. Blur's management decided to forgo Chile, leaving thousands of fans disappointed, and continue their '13' tour in Latin America by playing in Argentina, Brazil and Mexico. 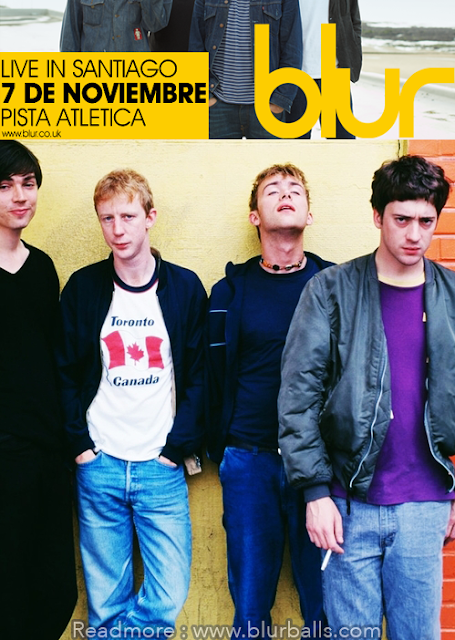 14 years later, Blur are finally going to 'debut' in Chile on November 7th at one of Chile's biggest stadiums. With the announcement of plans for new Blur recordings [watch the video of Damon Albarn's surprise announcement] and the possible new dates for Blur's massive world tour, perhaps this year will end on an all-time high note, for both the band and the fans. Tickets go on sale this Sunday, May 19th, available through the Puntoticket system, shops Ripley, Cinemark, the Call Center 600 462 6000 and www.puntoticket.com. Prices ranging from 22,000 to 95,000 pesos (includes a 20% discount). 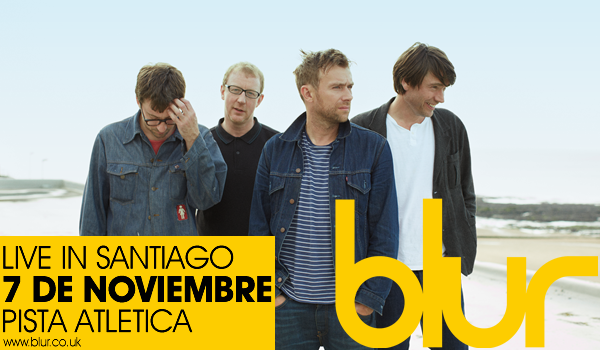 Follow BlurChile on Twitter and stay tuned for more updates and the latest Blur news.